Refer to “evaporative emission control system removal and installation (only for e-33)” . Inspect the hoses for wear or damage. If it is worn or damage, replace the hose with a new one. make sure that the hoses are securely connected. Inspect the evap canister for damage to the body. If any defect is found, replace the evap canister with a new one. 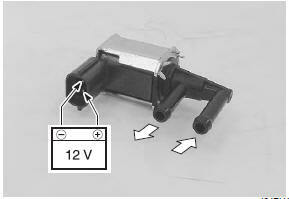 evap system purge control solenoid valve can be checked without removing it from the motorcycle. Refer to “dtc “c62” (p0443): evap system purge control solenoid valve circuit malfunction (e-33 only)” in section 1a . Check that no air flows through both of the air inlet and outlet ports. If air flows out, replace the evap system purge control solenoid valve with a new one. Connect the 12 v battery to the terminals of the evap system purge control solenoid valve and check the air flow. If air flows out, the solenoid valve is in normal condition. 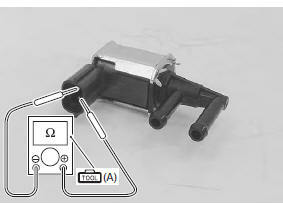 Check the resistance between the terminals of the evap system purge control solenoid valve. If the resistance is not within the standard range, replace the evap system purge control solenoid valve with a new one. and gasoline vapor is toxic. A small amount of fuel remains in the fuel shut-off valve when checking it. Do not swallow the fuel when blowing the fuel shut-off valve. 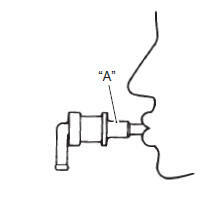 When air is blown into the fuel shut-off valve with its side “a” positioned upward, the air can pass through to the canister side. 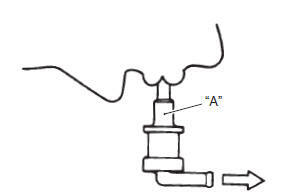 When air is blown into the fuel shut-off valve with its side “a” positioned sideways, the air cannot pass through to the canister side. If the fuel shut-off valve operates otherwise, it must be replaced.